Thank you for your interest in the Chestertown Farmers Market. We’re looking forward to a great 7th year. If there is other questions you have, please contact us. 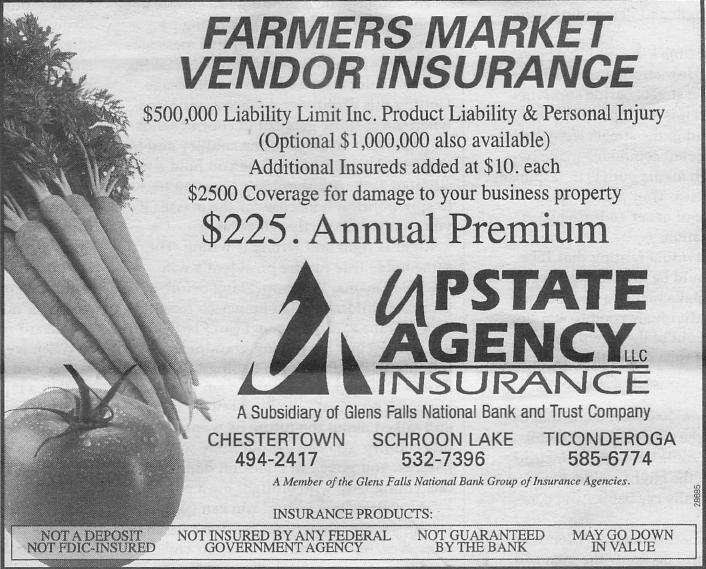 Vendors may also purchase additional insurance, thanks to our friends at Upstate Insurance.